'The first email from my sister arrives on the morning of her funeral. I really wasn't sure what to expect from this book. I was aware of Kate Harrison's romantic comedies and I was intrigued by this new venture into the Young Adult market with a suspense thriller, but I will admit to being slightly dubious. Fortunately, as soon as I began reading through the first chapter, I was hooked! I struggled to put the book down and found myself staying up until the early hours of the morning on a school night, desperate to find out how it would all end. With each short, sharp chapter, full of expertly written prose, I found the author reeling me in. The way Kate writes is both mesmerising and intoxicating and I am convinced that secretly she is a siren, ensnaring her readers into the shallow waters of Soul Beach, with no possibility of future escape. 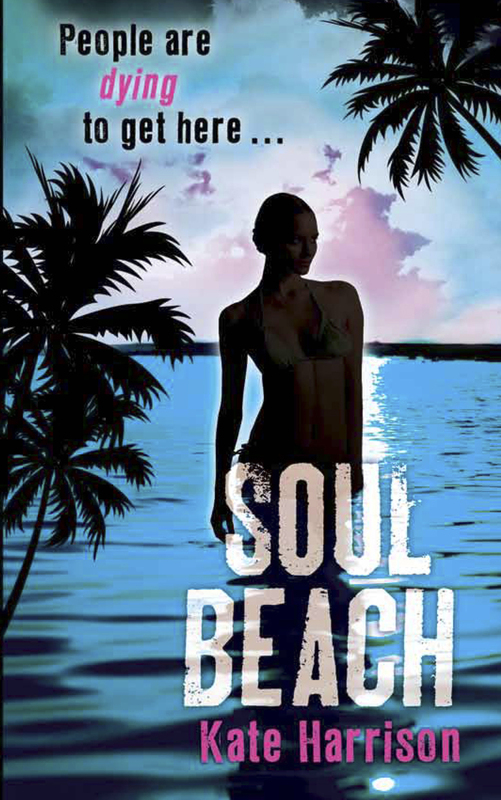 I found myself desperate to see Soul Beach for myself. To experience the soft sands, the clear waters and the beauty of the dead - to see whether it was a dream or reality. You sympathise with Alice right from the start. You are right by her side, as she experiences the loss of her sister. 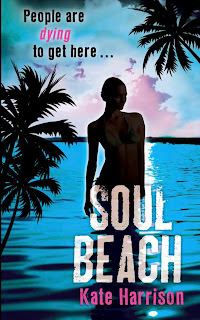 You cannot blame her need for Soul Beach, which becomes her obsession and you are fearful for the fall she will inevitably take when she loses her sister for a second time. Alice struggles with her feelings for Danny too and you cannot help but wonder how this relationship will develop. This book should be described as a paranormal suspense thriller - a cross between Truly, Madly, Deeply and Nancy Drew, only much more sinister. As you approach the half way mark of the book, you realise that Alice actually knows the killer. Yet, just like her, you cannot work out who it is and you become even more fearful for her safety as the killer appears to take an unhealthy interest in her. The characters living on Soul Beach were troubled yet beautiful. You realise that Megan has changed from her former character as she comes to terms with her death. Danny just sounded gorgeous and for some reason had me visualizing him to look like John F. Kennedy Jr. I think it was a similar demise that created the link. The ending of this book had me screaming at the top of my voice. The murder was left unresolved! It was a beautiful ending with some unexpected joyful turns, but I now have to wait until the next book to find out who committed the crime. I do hope Kate Harrison is writing furiously as I am desperate to find out what happens next. I love the sound of this one - I like murder mysteries, so I have a feeling I'd definitely enjoy this book! Alice seems like a great character - glad you enjoyed this, thanks for the review! I really love the sound of this book, it makes me think of the books I devoured as a teen. I think this will be a must read for me. This sounds a bit different! "a cross between Truly, Madly, Deeply and Nancy Drew, only much more sinister." Wow! great review Viv! I really cant wait to read this! Sounds great, I remember your mentioning this one before. I can imagine you can't wait till the next installment to find out who the killer is.